Dr Karen McNamara specialist registrar in obstetrics and gynaecology and a clinical research fellow in the Department of Obstetrics and Gynaecology in University College Cork. A NEW research paper published by the Irish Medical Journal, which was co-written by a South East Clare obstetrician, has revealed pregnant women living outside of Dublin only have a 38% chance of being offered an anomaly scan in the public system. Parteen native Dr Karen McNamara is a specialist registrar in obstetrics and gynaecology and a clinical research fellow in the Department of Obstetrics and Gynaecology at University College Cork. She was involved in compiling the recently-published research, Maternity Ultrasound in the Republic of Ireland 2016; A Review. Dr McNamara noted the number of women being offered an anomaly scan outside of Dublin stands at 38%, a number that has remained largely unchanged despite it being highlighted in previous pieces of research in 2007, 2012 and 2013. She said the review she conducted with Dr Deirdre Hayes Ryan, Dr Noirin Russell, Professor Louise Kenny and Dr Keelin O’Donoghue, showed an inequity in the service that pregnant women are receiving; most notably, that 100% of public patients are being offered the anomaly scan if they attend maternity services in Dublin but only 38% are offered it elsewhere in the country. She explained that the “ideal schedule for maternity ultra sound services” is to provide a minimum of two ultrasound scans during pregnancy, regardless of risk. “Most of the international guidance would suggest that you get your first trimester dating scan, which not only dates the pregnancy so you don’t go overdue but can also diagnose twins, it can confirm whether the pregnancy is ongoing or viable and it will also pick up a small amount of major anomalies,” she noted. The paper referenced previous research in 2012 showing seven of 20 maternity units, or 35%, routinely offered foetal anomaly ultrasounds to all women, with a further nine (45%) offering selective foetal anomaly ultrasounds. The paper outlines that while the number of units offering routine foetal anomaly ultrasonography in 2016 has not changed, the number offering selective foetal anomaly ultrasounds has actually declined from nine to seven and one unit has closed. Dr McNamara said the research concludes that “if you are living in Dublin, of which there are three maternity units catering to about 26,000 women out of 65,000 that are having babies, you are 100% guaranteed an anomaly scan”. The research found that the second trimester scans were offered to all women in only seven of the 19 maternity units country-wide. In five units an anomaly scan is not offered at all, which she said “is worrying”. “It means that 14% of the women in this country, if they pick a particular unit, will not be offered an anomaly ultrasound,” she continued. A further seven units offer the scan to some women on the basis of predesignated risks. Dr McNamara said in one of these units, a list system is applied whereby the first 100 women on the list are offered an anomaly scan in another unit. “If you are number 101 on that list, that’s no good to you,” she said. University Maternity Hospital Limerick (UMHL), which provides a service to pregnant women from County Clare, has confirmed it offers a two-scan programme to patients, one at 11 or 12 weeks to date the pregnancy, while the second is carried out in the final trimester of the pregnancy, between 30 and 32 weeks, to identify several common problems such as growth restriction, malformations and placental problems. “Recent high-quality scientific evidence supports the use of a third trimester scan to identify poor foetal growth,” stated a spokesperson for UMHL, adding that in addition to this two-scan programme, it provides a 20-22 week scan for patients who have particular risk factors, such as a family history of Spina Bifida or congenital heart disease. “Many patients will have multiple ultrasounds in addition to these two or more scans. For example, mothers expecting twins will have scans every two weeks,” she added. “Some of the chromosomal conditions that previously relied heavily on a mid-trimester scan for diagnosis are now detected on a simple maternal blood test as early as 10-11 weeks. “We are working on making this test more available to patients whose first scan has raised suspicion of a chromosomal abnormality,” she continued. 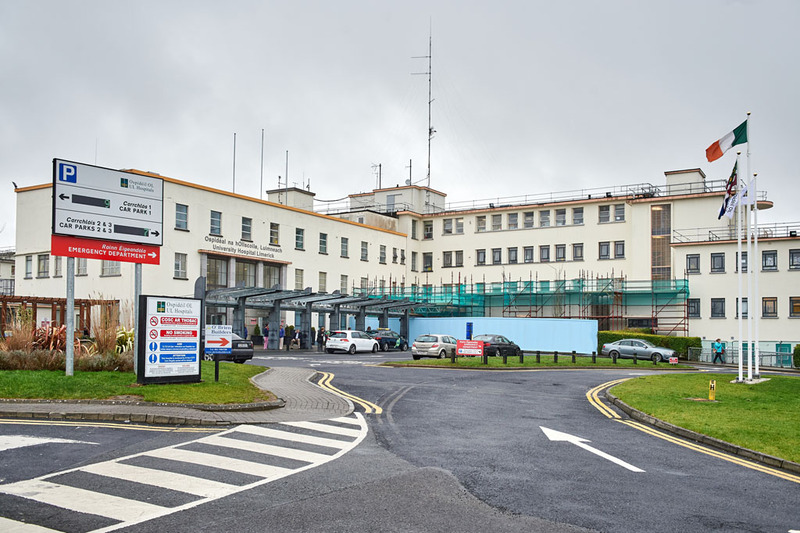 In Portiuncula Hospital in Galway, which also offers a service to patients from Clare and South Galway, a spokesperson confirmed that it offers an anomaly ultrasound to women based on risk assessment criteria. “It is intended to expand this service further having recently purchased ultrasound equipment. The hospital is supporting additional staff to undertake the appropriate training to support the expansion of this service further,” a hospital spokesperson noted. 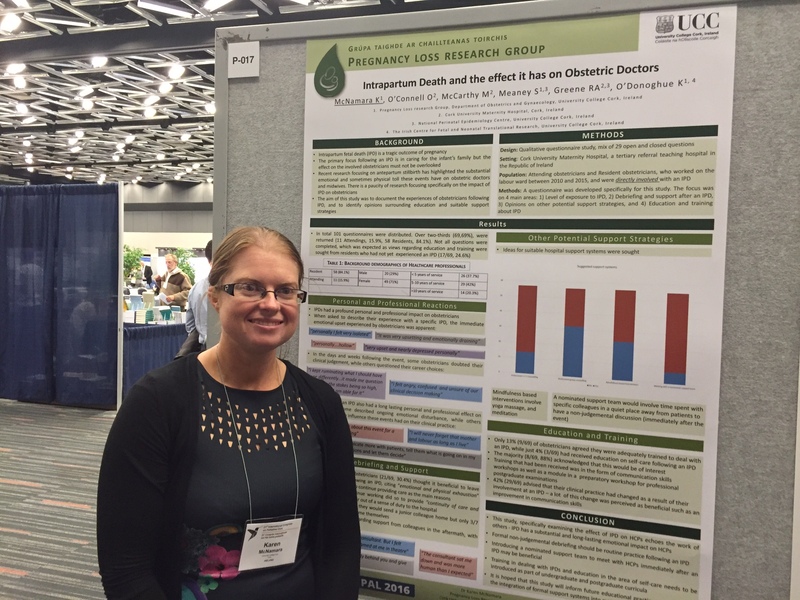 Dr McNamara said her research has pointed to resourcing issues in certain hospitals. It has also highlighted the lack of guidelines to ensure an equal service is offered to all women regardless of risk. She said the current system is not a fair way to assess pregnant women and while there is always an option of having the scan privately, she believes this is not the answer. “If you are a public patient and you are in a hospital that doesn’t routinely offer an anomaly ultrasound, you are not guaranteed a scan because it is resource-based. The hospitals who provide it to some of the women that are attending, do so on a risk basis, but given that we know the majority of anomalies are picked up in women that are technically low risk, is this fair and is this the fairest way?” she asked. The implications for women who don’t have a second trimester anomaly scan are varying. It may of course not pick up any anomaly but in cases where there is an anomaly, it is limiting, as Dr McNamara explains. can allow doctors and the parents to prepare where the delivery happens and that will decrease the time taken for the baby to end up in the right place postnatally to get the treatment they need,” she said. Diagnosing anomalies at the 20-22 week stage is also important to give parents time, particularly if they identify a fatal abnormality. “It can give parents time to prepare or to adjust, or if they were in a position where they wanted to terminate, it would give them the option to investigate that as well. That is obviously gestation dependent and would be under a legislative approach because, in Ireland, we are not in a position to perform terminations without reason. It just means that parents have choices to do whatever they want or to prepare themselves,” Dr McNamara added. In situations where there is a baby that does not have a lethal abnormality but might be born with a cleft lip or a cleft pallet, again, she said it gives parents time to adjust and prepare them for what they will see when their baby is born. “From a medical point of view, if you have a woman who hasn’t had an anomaly scan and their baby has a lethal anomaly, such as anencephaly, which is where the baby’s brain doesn’t develop properly, they will sometimes present with abnormalities in labour. If that is undiagnosed we can sometimes intervene and do a cesarean section or take unnecessary interventions that can put that woman at increased risk,” she continued. In addition, the anomaly scan also provides the doctor with an opportunity to monitor anything that is out of the ordinary. Dr McNamara said one of the reasons for conducting the research is the lack of any Irish guidelines for ultrasounds in pregnancy. current national focus on anomaly scanning at 20-22 weeks”. According to the hospital spokesperson, the current routine 31 week scan at UMHL, along with selective additional scanning, does this. Dr McNamara said despite the low level of anomaly scans being offered, a lot of great work is being done around the country. been any expansion in the numbers of people providing these services around the country in general,” she said. For the past decade, UMHL has been a major contributor to the internationally-acclaimed and award-winning research involving obstetric ultrasound carried out by the Perinatal Ireland research consortium. 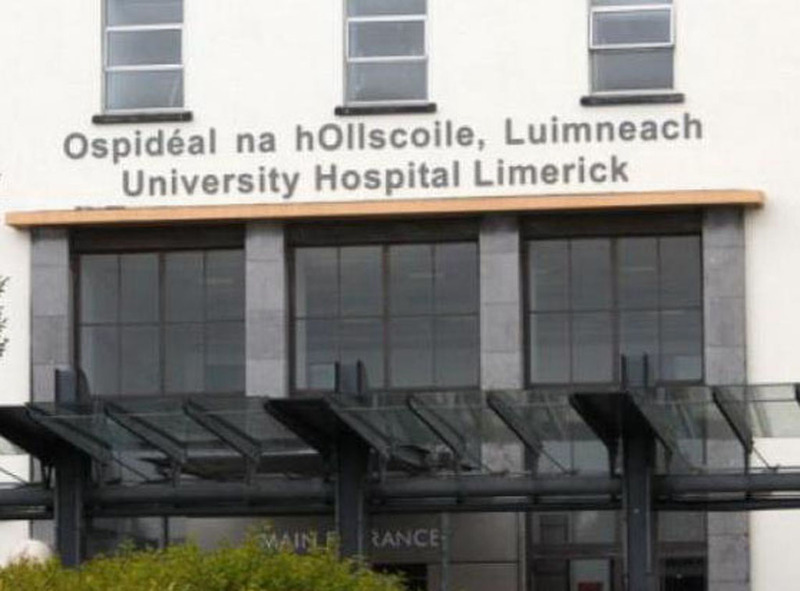 “The ultrasound service at UMHL is provided by a team of highly-trained and experienced ultrasonographers and is backed up by a team of foetal medicine specialists, who have specific training in ultrasound scanning for high risk pregnancies,” the hospital group spokesperson outlined. Dr McNamara said unless there is more investment in this area and unless concrete guidelines are provided, the statistics won’t improve, something that UMHL also supports. “I would be hopeful that HSE policymakers would give it a bit more attention and note that we should be providing actual access to care for all of our women. The fact that this was highlighted in 2007 and in 2013 and now in 2017, I would have a concern whether or not we will see any progress,” Dr McNamara concluded.